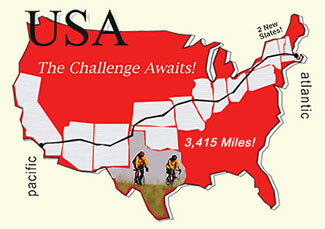 Blustery 78 Mile ride into our 9th state. I woke at 6am, looked out the window, and egads, it's raining and the flag is sideways. Weatherunderground has the temp at 47. All part of the adventure. Peter says he is not riding today, somehow the man has more common sense then the rest of us. Zinfadel and the Mogen Davids (I have been daily trying to come up with a different name for a Christian, Jim, and the rest of the people in my riding paceline who are all Jewish) set off into winds from the west at 10-15mph with gusts of 25-30. 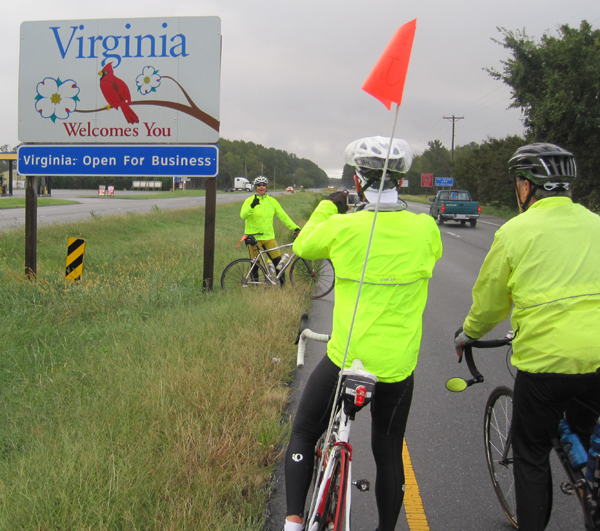 We were riding SSW down the Delmarva Peninsula with the Atlantic on one side and Chesapeake Bay on the other. Highway 13 is the main route through this area and it had all the traffic. We were on rural roads with many small farms growing tomatoes, sweet potatoes, beans and corn. We have indeed entered the south, I observed my first confederate flag today. Since these winds are significant on a bike we did one mile pulls at the front. That is one person breaks the wind at the front of a paceline and after a mile rotates to the back of the line. This is highly effective way to ride in high winds. Jim only weighs 135lbs and claimed one of the gusts lifted him off the ground. With 20 miles to go Jim announced that since there were four of us that was only five pulls each. Our spirits lifted. When I announced there were peanut butter and jelly sandwiches awaiting us we raced to the end. 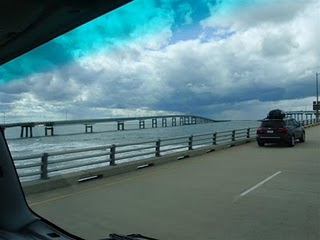 There are long bridges and two tunnels from the Peninsula to Virginia Beach. Bicycles are not allowed. Therefore the Crossroads staff trucked us to the hotel. Since Jim and I were early finishers we did not have to wait for a ride. Nice, especially on a cold, wet day. Little known fact: Virginia Beach is the most populous city in Virginia. Another little known fact: The city is listed in the Guinness Book of Records as having the longest pleasure beach in the world. Thanks to Ben S. for the Zinfadel and the Mogen Davids reference. Virginia State Line. Our 9th state. Jim taking a picture of Jack with Mike on the right. This ride went through rural Virginia. I was surprised to see this sign. Then when we passed farm workers I noticed many of them were Hispanic. 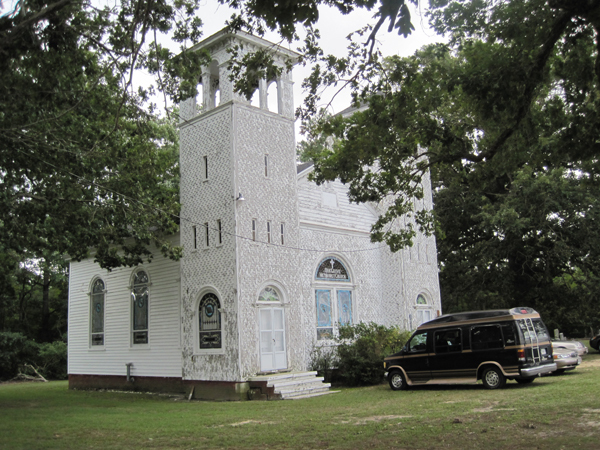 Our SAG stop was on the lawn of this rural Methodist church. It was Sunday morning and the crowd was just arriving. Sent 2011-10-02 from peter b.
I promise this member of the Lost Tribe will return to the flock tomorrow! Peter R.